We can engage in discourse all day long about the best way to experience PC gaming, but at the end of the day, the goal is to minimize the cost of your hardware while still yielding the best graphics in your favorite games. 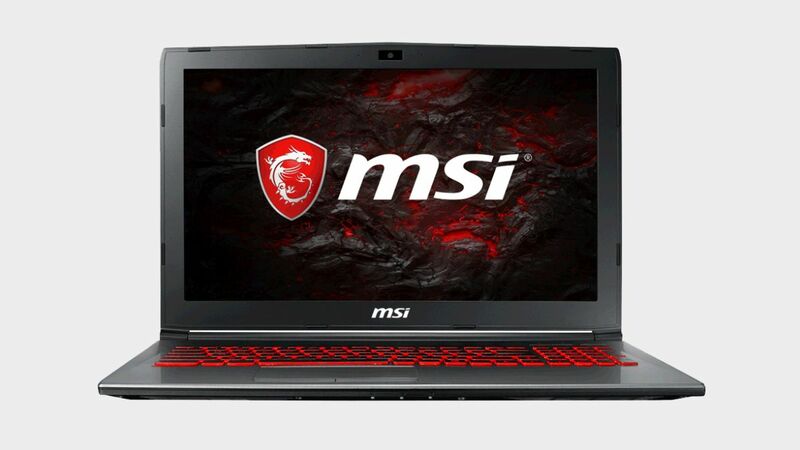 And while I’ve seen the MSI GV62—what with its Intel Core i5-8300H processor, 8GB of memory and Nvidia GeForce GTX 1060 graphics—go on sale for less than sticker price before, I’ve spotted a new all-time low price for the lappy: $619.99 on Newegg. Sure, that’s after rebate, but think about it this way: you’re already saving $280 before you have to mail anything in. Plus, as a bonus, the GV62 comes with some surprisingly valuable extras. For one, it’s bundled with a headset, the MSI Gaming Headet S, and while I’ve never used these cans for myself, Newegg seems to think they’re worth $100… because that’s how much the headset costs if you buy it on its own. Then, if you’re a Fortnite player, this laptop is eligible for the Nvidia “Counterattack” bundle deal that’s going on right now. So, on top of the MSI GV62 notebook and the MSI Gaming Headset S, you also get 2,000 V-Bucks and some rare/uncommon Fortnite gear, collectively worth $45 in real money. All things considered, this is one hell of a deal for anyone in the market for a new mid-range gaming machine.